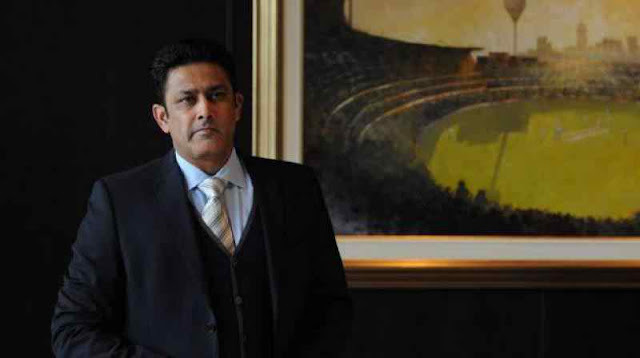 Anil Kumble to continue as ICC Cricket Committee chief? "My understanding is that he can continue to be at this post. There have been few other former cricketers who are now performing the coach duty and still the members of the ICC committee," one influential member of the Indian cricket board said. "Darren Lehmann is Australia's coach and Rahul Dravid is attached with the Junior teams in India and are the active members of the ICC's high profile committee. Why should Anil Kumble leave this post?" the BCCI official said. "There is no bar on him as he (Kumble) fulfils the ICC's basic criteria of having played 30 Tests and is a former captain/coached of the national team," another source added. However, Kumble may not wish to continue, if he finds himself in an embarrassing situation because India is opposing the DRS, whereas his committee is proposing and supporting the DRS. Also, how much time he would be able to devote to the committee and cricket operations department of the ICC is to be seen. The ICC's Chief Executives committee meetings scheduled to be held in Edinburgh on Tuesday evening (14.30 to 17.30 and Wednesday morning (9.30 to 14.00) are likely to discuss the suggestions (made by the Cricket Committee in last month meeting) and put forward to the ICC's Executive Committee and Board Meetings. 0 Response to "Anil Kumble to continue as ICC Cricket Committee chief?"